Is "gmund' the same guy? I wouldn't say he is and I wouldn't want to put someone out of business if they are genuine. But I would always be aware of people who just joined the forum and their first posts are in the for sale section. Interested in 1/4 light/sliding window locks? Please PM me. Please do not buy off this guy. 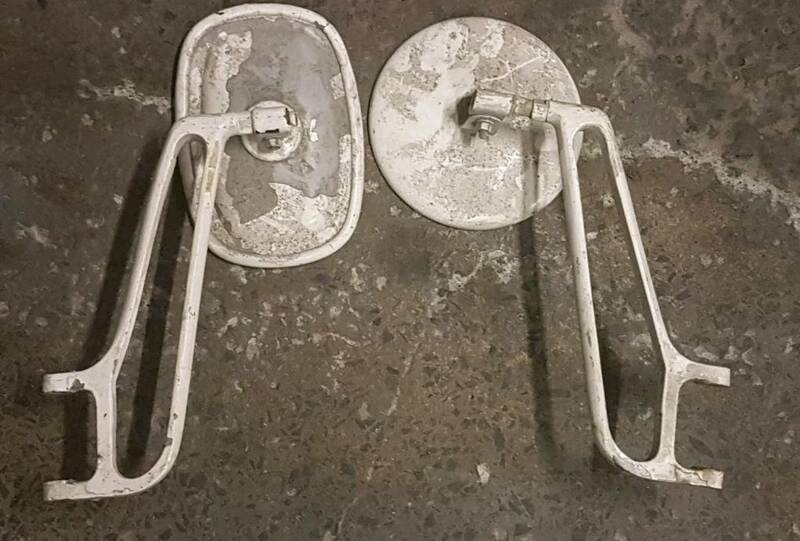 I searched for the advert for these on Facebook. I could not find. Then later I receive an email from a samba member not known to me from my wanted link for Devonette items.. The poster asks if I want to buy some M194 mirrors. 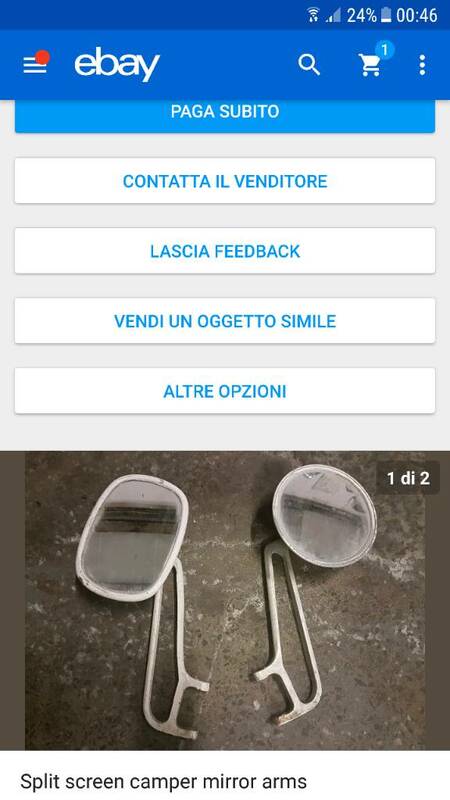 I have previously posted asking if anyone has mirrors for sale on several sites. I check the posters details and he has a zero profile. I wonder "Is this my Italian friend attempting to scam me? It certainly appears like him back to his old tricks again! Then in the email exchange it becomes obvious he is indeed posting from an Italian server. I ask for pictures and they are the same items. I ask what the address is in SE8.. He says the items are at Grove Road but no postcode and will be posted from there. It could be my Italian friend Emaliano, he has used this address as Cherrys before! I am in Evelyn Gardens SE7... I offer to call round and collect and pay! I ask for more pictures..? I ask why he is mailing from Italy? He explains he has bought the items on eBay and the seller will not post to Italy. So he will get the seller to send them to me I can pay him and provide my address and I will receive them. I ask why he does not pay and get them sent to his friend in SE8 and I will call round and collect and pay. OK let him know if I want to pay his paypal account and get the eBay seller to post direct to me! His paypal email name is a drug for aids! He has tried this variant of scam before. Last edited by type21f on Wed Dec 19, 2018 10:24 am, edited 1 time in total. Unbelievable...... Thank you for the update. There are similar comments about "An Italian" doing this on thesamba.com. 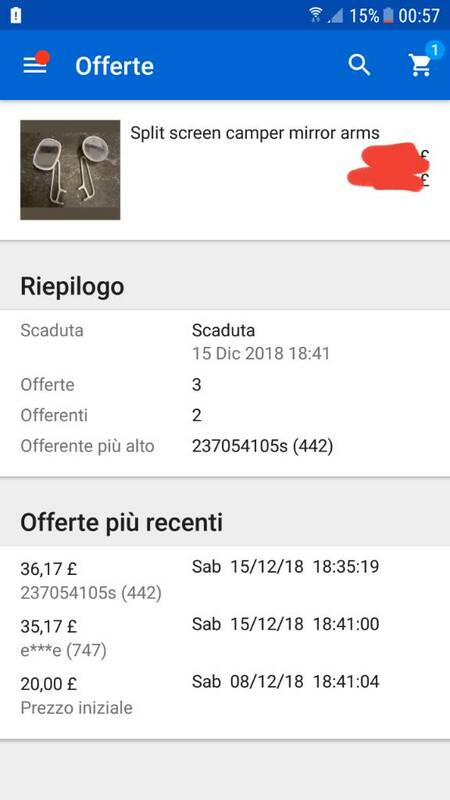 Selling items he has not yet even bought and then selling them on and cancelling his payment for the item saying he has not received! He then does not send to the second party either ! Not sure who set this up but it just made me laugh..
very informative thread. Learned another 1 or 2 things on here! 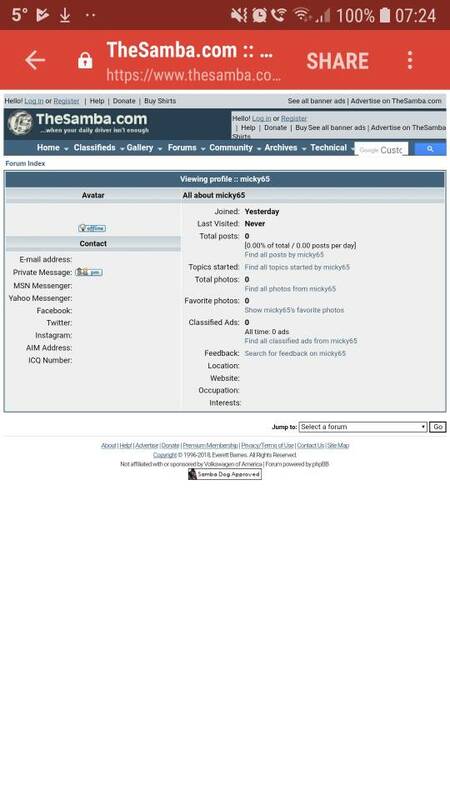 There is a new user on here called "IVE", who could be Emiliano, hjohn, or .... whoever. I'm usually pretty liberal on here, but not on this issue. I don't want anyone on here getting ripped off or scammed. If "IVE" wants to message me, please feel free. Saw that. 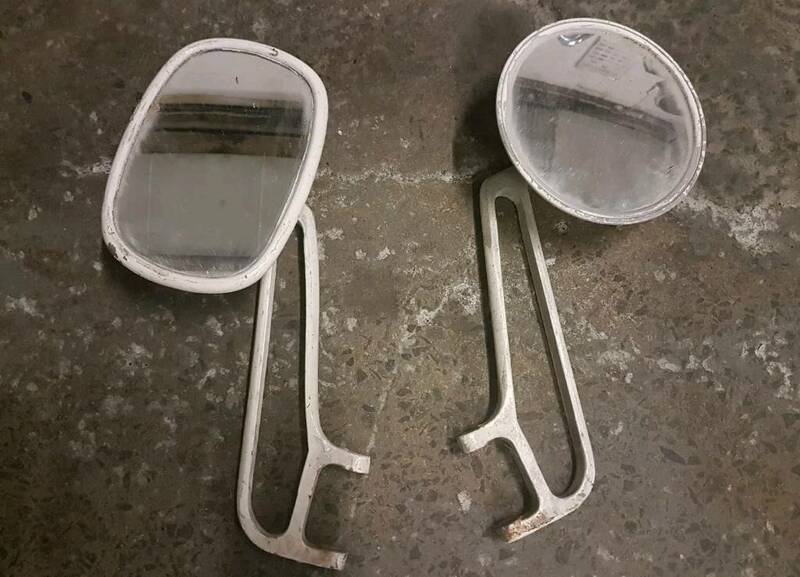 £100 for two unbranded mirrors.